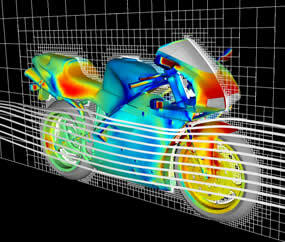 How can I get the best mesh for UTM (Underhood Thermal Management)? 1. Use the -UTM command line option. This invokes an internal flag to minimize the number of holes in a mesh. The mesh method must be set to External when using this option. Harpoon will keep all volumes as not just the external one. N.B. At least one Harpoon farwall must be used for this option to work.